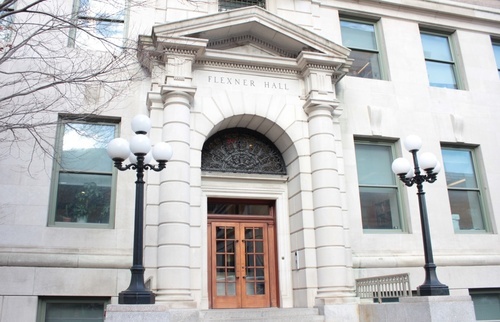 The Flexner Hall is one of the main buildings of The Rockefeller Institute for Medical Research, in New York. It was built in 1917 and designed by Coolidge and Shattuck. It is dedicated to Simon Flexner, who was the first director of the institute. 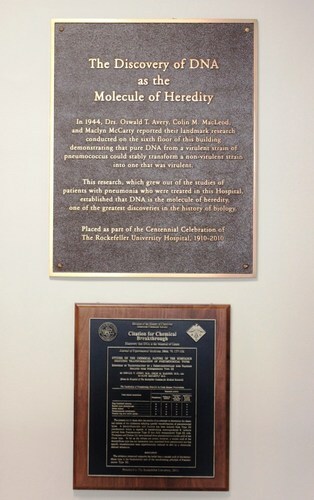 The plaque below is a national historic chemical landmark. 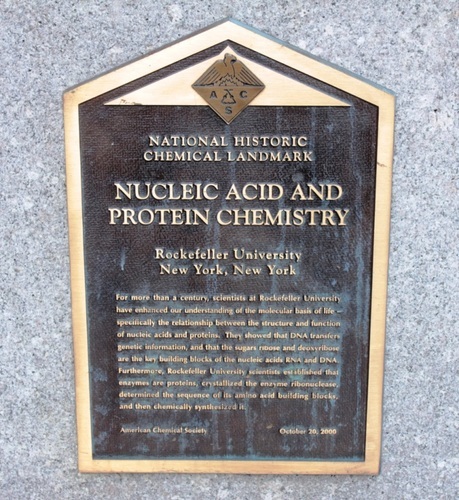 It is positioned outside the Flexner Hall and commemorates the American Chemical Society naming the nucleic acid and protein research done at The Rockefeller Institute for Medical Research. On the first floor of the building there is a wall dedicated to the discoverers of DNA (deoxyribonucleic acid), Oswald Theodore Avery and Maclyn McCarty. 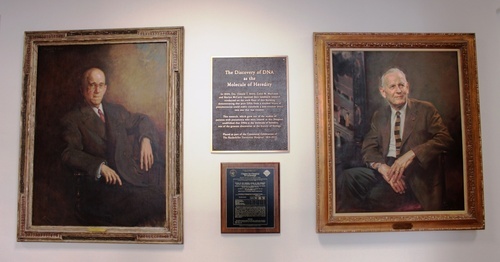 It is possible to appreciate their portraits and a plaque commemorating the landmark discovery that DNA is the molecule responsible for carrying genetic information.